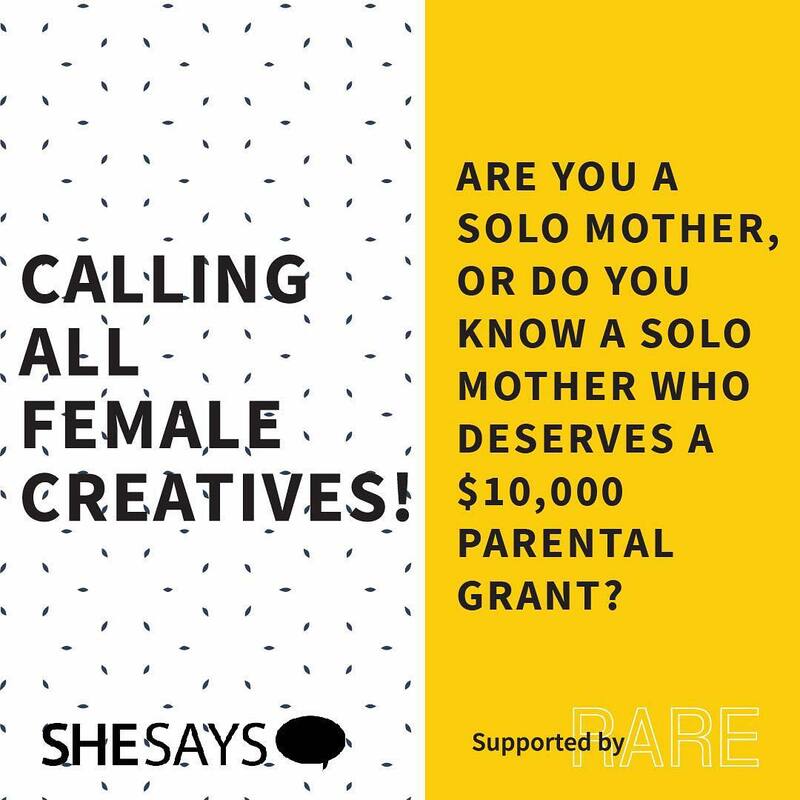 SheSays Sydney is giving away two grants of $10,000 each to mothers in the creative industry to show their support of women juggling children with a creative career. There are two grants available. One maternity grant for a mother who’s not covered by benefits, and one child support grant for a solo parent working in the industry. Applications are open now until 1 June. Applicants should send an email with their story to shesays.sydney@gmail.com outlining their situation, how they would benefit from the grant and why they’d like to be considered. The SheSays grants are a joint initiative between SheSays Sydney and RARE SYDNEY, a leadership masterclass for creative minorities which launched in 2018. The initiative raised $175,000 from sponsorship and art proceeds and the funds have already gone towards 17 scholarships and grants. The grants are designed to help support single mothers in the Australian creative industry in recognition that there isn’t always a lot of help out there. The funds come from RARE SYDNEY. The recipients of the grants will be announced on 15 June and SheSays will use learnings from how the recipients benefited and used the 2018 grants to shape future initiatives.